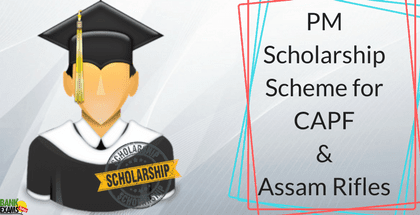 PM Scholarship Scheme for CAPF and Assam Rifles was launched in the year 2006-07 by the central government of India under the ministry of home affairs. It is funded by the National Defence Fund under the central government of India. To benefit dependent wards & widows of Central Armed Police Forces & Assam Rifles (CAPFs & AR) Personnel. Under this scheme, total 2000 of Scholarship to be sanctioned for the equal number of girls and boys. The Scholarship is given for each academic year and along with it, new courses are added every year. Who are eligible under this scheme? Dependents of CAPFs & AR personnel who died in harness/election duty, wards of personnel disabled due to causes attributable to Government service and Dependents of Ex-CAPFs & AR personnel in receipt of Gallantry Awards. Dependents of retired and serving CAPFs & AR Personnel who are come under the category of Personnel Below Officer Rank. Continuing first class professional degree in the field of Engineering, Medicine, Dental, Veterinary, BBA, BCA, B. Pharma, B.SC Nursing or Agriculture, MBA and MCA in accordance with the guidelines as mentioned in Para- 8 (B). At least 60% marks in Minimum Entry Qualification 10+2 or Diploma or Graduation or equivalent in a case for a new applicant. 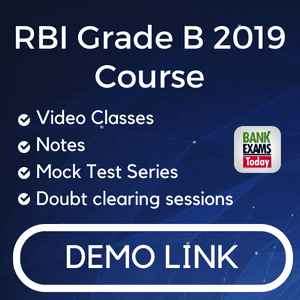 Applicants who are applying under renewal category, it is obligatory to pass each consequent academic year of the professional courses being taken by them with at least 50% marks. The preference will be given on the basis of marks secured by Applicants in Minimum Entry Qualification. Category -A Dependents of CAPFs & AR personnel killed in action. Category-C Dependents of deceased CAPFs & AR personnel died for causes attributable to Government service including casualties during the conduct of Election. Category-D Dependents of Ex-CAPFs & AR personnel disabled while in service with disability attributable to Government Service. Category-E Dependents of Ex-CAPFs & AR personnel in receipt of Gallantry Awards. Category-F Dependents of Ex- CAPFs & AR personnel (PBOR). Category-G Dependents of serving CAPFs & AR personnel (PBOR) subject to availability of scholarship. Dependents of deceased CAPF/AR personnel will be analysed for a scholarship under Categories “A” to “F” as per applicant’s priority, even on the compassionate appointment of spouse/NOK in CAPFs. There is no rank restriction for the Categories A to E.
The Dependents of Assistant Commandant, holding Local Rank of CAPFs & AR are qualified for granting PMS under category “F” & “G” also. This scholarship is applicable to only two children per family and should be ensured by the beneficiaries as well as by the respective CAPF & AR. The candidates irrespective of their marital status are eligible for PMSS. Duration of Scholarship depends on the course taken by the applicants and approved by the corresponding regulatory body. Rs. 2250 per month for girls means Rs 27000 to each girl annually after selection. Rs. 2000/- per month for boys means Rs 24000 to each boy annually after selection. First class professional degree courses like BE, B Tech, BDS, MBBS, B.Ed., BBA, BCA, B Pharma, B.Sc. (Nursing, Agriculture, etc.) 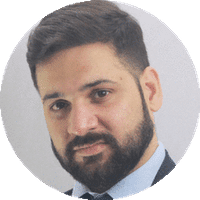 duly approved by the proper Government Regulatory Bodies like All India Council for Technical Education (AICTE), Medical Council of India (MCI), University Grant Commission (UGC). Aadhar number must be linked to a bank account is mandatory. Candidate those satisfied eligibility criteria and applying under PMSS must have an active and valid Account in any nationalized bank with Electronic Clearing System (ECS) or Core Banking, to facilitate the transfer of scholarship amount directly to applicant's bank account. For a minor account, the same should be converted into major account.